But last summer will always hold special significance for me, because it was the first year that I had the opportunity to watch the Australian Women’s Cricket Team live. Up until four years ago, I always associated my favourite summer sport with men. Looking back on my childhood, I almost feel a sense of shame that for so long I never asked why women don’t play cricket. The answer, of course, is obvious – it’s because you can’t be what you can’t see and for the longest time, female cricketers were very much invisible. The landscape has fundamentally changed over the last four years thanks to a big push by Cricket Australia and the state cricket bodies. Significant moments have included the launch of the Women’s Big Bash League four years ago, the professionalisation of the New South Wales Breakers, making them the first professional female domestic sporting team, and also saw a rebrand of the Southern Stars, who are now formally known as the Australian Women’s Cricket Team. This may not seem like a big deal, but language is important and it is exceptionally significant that our men’s and women’s teams are labelled in the same way. 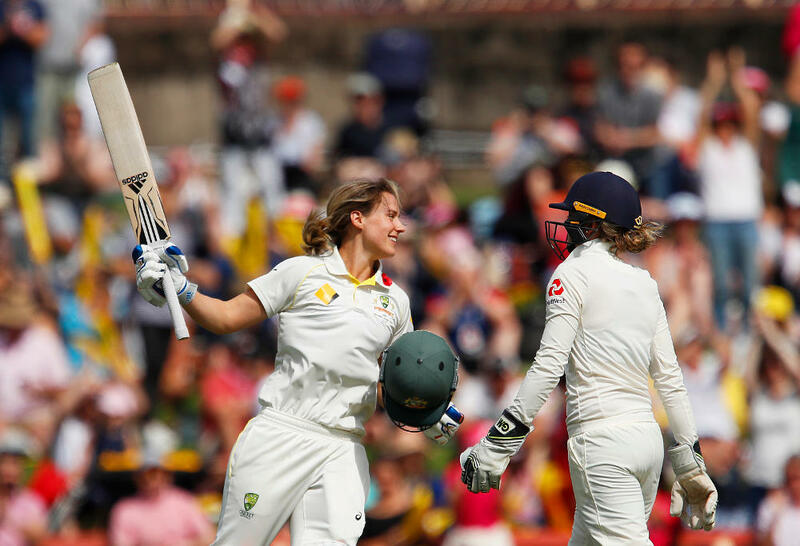 Last summer, Australia hosted the Women’s Ashes, the first time tickets had been sold to women’s international matches in the country. This saw close to 30,000 people go to games in Brisbane, Coffs Harbour, Sydney and Canberra. I was one of those 30,000 people and was fortunate enough to attend the inaugural day/night Test at North Sydney Oval, as well as the first T20 game. Both those matches were filled with standout moments, but the one that took the cake was on the third day of the Test. That was when Ellyse Perry scored her double century, ending up on an unbeaten 213*. Ellyse wrote herself into the history books that day when she scored the highest individual score by an Australian in women’s Tests. The previous record was held by Karen Rolton, who made 209* against England at Leeds in 2001. While Ellyse’s achievement on the pitch was one of the greatest sporting moments I’ve ever witnessed, the atmosphere at North Sydney Oval was a real highlight too – it was a festival, full of families just genuinely enjoying the cricket. Not only did Ellyse score a double century that day, but she also bowled a spell and then stayed behind after the game to sign autographs and take photographs with anyone who asked. I wouldn’t trade seeing Ellyse’s double century for anything, but there is one Ashes moment I missed that I wish I had been able to see. I remember the evening well – it was a Tuesday and the night of the final T20 match in Coffs Harbour. By the time the third T20 took place in Canberra, Australia had done enough to retain the Ashes. But, with a win, England could do enough to level the series and head back home with their heads held high. So the stakes were still raised. During the summer, most of my evenings were preoccupied with cricket so that I didn’t miss a game. But on that particular evening, I had a family birthday celebration I was unequivocally not allowed to miss. Fortunately, I had my phone and I thought that would be enough to keep me up to date with what was happening during the game. How wrong I was. By the time we had finished our entree and I checked the score under the table, I thought the Aussies had victory in the bag. After losing a couple of key wickets, the scorecard told me that Beth Mooney had had an outstanding night with the bat. She scored 117 not out off just 70 balls, with 19 fours and a six. I would later find out that this total would put her in the record books as the scorer of the second highest women’s T20 score ever. So you’ll see why I was feeling confident – particularly because my Twitter feed was telling me the result was a foregone conclusion. By the time I checked my phone again after the main course, I was smugly telling my family how Australia were going to win the game easily. England were in trouble and sitting at 3-30, having lost some early wickets. Surely following sport for so long would have taught me not to be so confident so early. By the time dessert rolled around, Australia had lost. 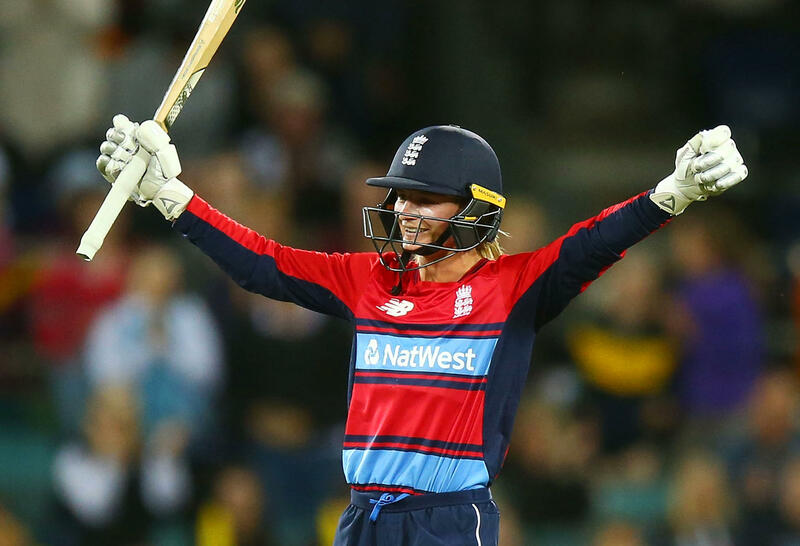 Dani Wyatt made a terrific century, while Heather Knight contributed a fine fifty. To be honest, it was probably for the best that I didn’t end up watching this game; the highlights showed me Australia really squandered their chances, putting down four simple catches. Keeper Alyssa Healy spilled two, while Megan Schutt and Molly Strano dropped one apiece. I would not have been good company watching that live. That family occasion also meant that I wasn’t there to see the ceremony and watch the Australian Women’s Cricket team lift the Ashes on home soil. The positive, though, is that I’m confident my opportunity to watch that moment live isn’t too far away, with women’s cricket continuing to go from strength to strength, not just in Australia but across the globe. Just remind me that watching the cricket is far more important than attending more family dinners.